Art requires concept, imagination, thought. All craft is not art. 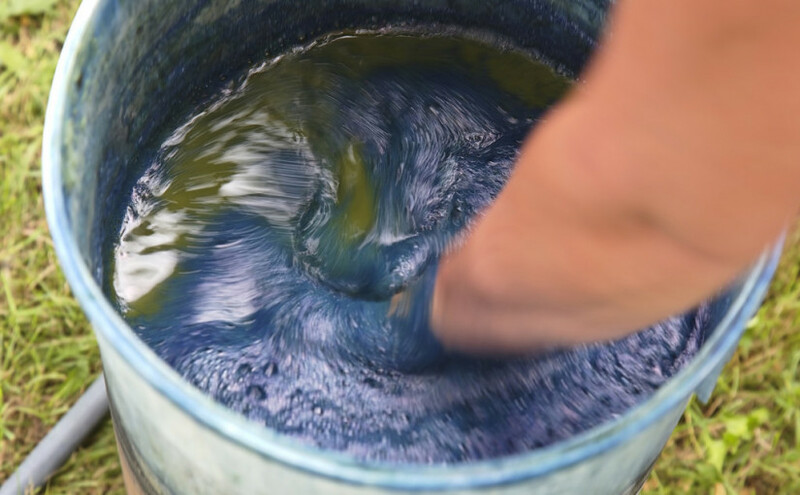 If the artisan is simply executing patterns or rote copying, it is not art. The head and the heart are as essential as the hands. The debate matters because it has critical implications for not just the survival but the flourishing of traditional artisans. The economic standards by which art and craft are valued are night and day apart. More than that, cultural hierarchies play out in the terms used. Craft connotes charming diminutive workers, while Art commands respect. In art, the individual conceives an idea and executes it in his or her medium. It is an activity of self expression. Traditional arts or crafts were usually more functional. A product was created as a communication between maker and user. But as in art, the artisan both conceived the product and created it. When the relationships between maker and user broke down, design emerged as a separate entity. In craft, it is usually called design intervention, and it indicates a separation between concept and execution. In the process, the concept retains its value, while the execution becomes labour. In order to reverse the trend, Kala Raksha started Kala Raksha Vidhyalaya, the first design school for traditional artisans. 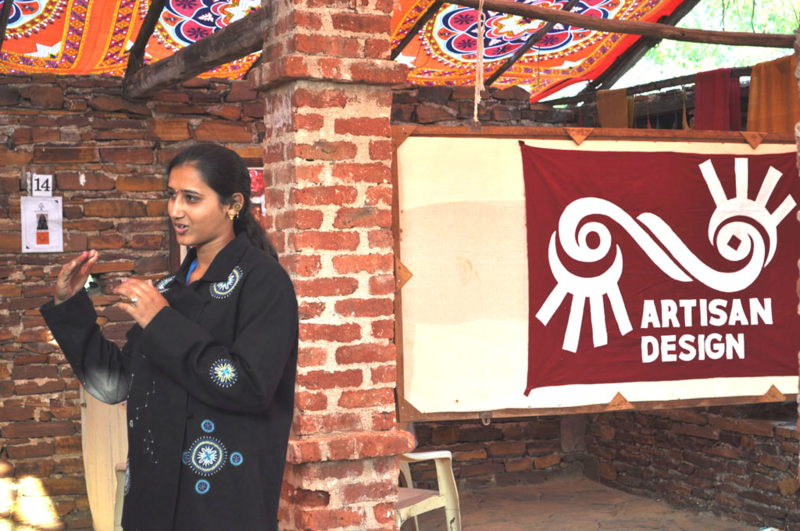 Here, artisans learn design in order to be able to create more effectively for new, distant markets. The unique concepts of each artisan designer are valued, consciousness and confidence increase, and the art aspect of craft reemerges. Artisan Design emphasies the aspect of the artisan’s thought. Now, Kala Raksha has added a logo to this concept, in order to create visibility and value for the individual’s creative effort. Artisan Design also creates value for the integrated spirit of tradition. This is the symbol of integration of concept and execution, and of raising status of the artisan. It is a new fair trade idea—fair trade for the creative spirit. 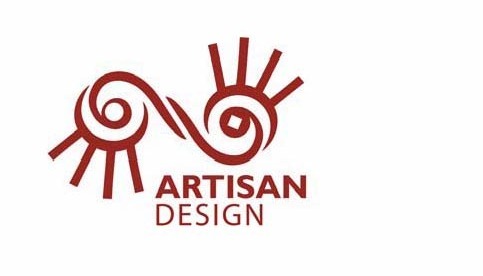 Artisan Design certifies that a product is an artisan’s own creative innovation. It celebrates the individual’s heart, mind and hand. 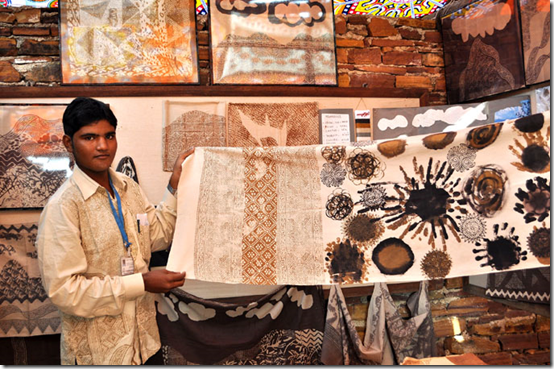 The second initiative is e-portfolios of the Artisan Designers who have graduated from Kala Raksha Vidhyalaya. Each graduate has invested a year of hard work and incredible creativity, to embark on a unique artistic path. Through the e-portfolios, Kala Raksha will facilitate contact to world markets for each of these artists. The contemporary market has a critical role to play in recognizing and honouring the spirit of the creator. 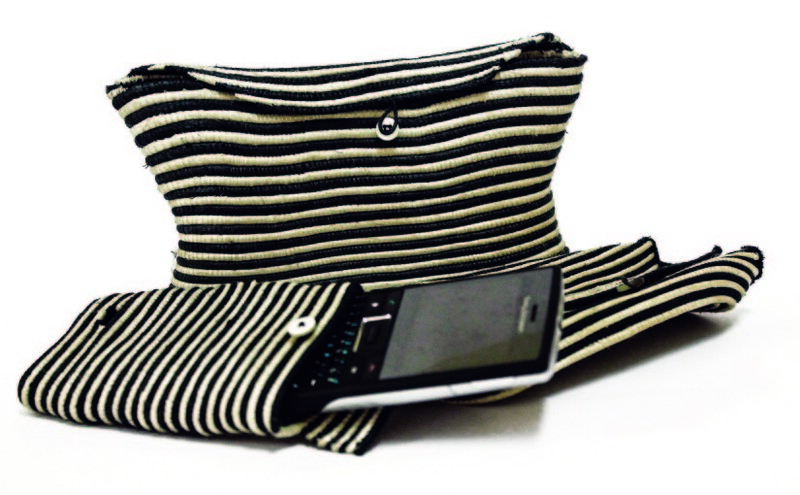 With information technology, emerging artisan designers can be discovered by people who can value their work. The portfolios will be maintained on a new website www.kalaraksha-vidhyalaya.org to be launched in January 2011. 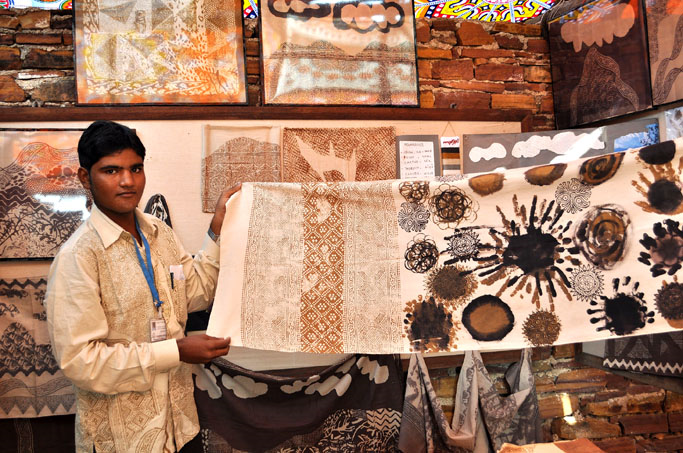 Combining age old tradition and the latest technology, Kala Raksha and Equal Craft are breaking social barriers. E-commerce makes it possible for rural artisans to directly connect with long distance markets. The fact that one can ask what is the difference between a quilter in Vermont selling her quilts on Etsy.com and Lachhuben Rabari selling her embroidered bags on Equalcraft.com says it all. There is no difference. The venture is leveling the playing field. The difference is that now Lachhuben can sell her embroidered bags directly to anyone in the world—and she can get direct feedback from her customers! Equal Craft’s contemporary technology makes it possible to sell the story– the cultural and personal context that creates value –along with the product. You can follow what else Lachhuben has made. And you can ask this Rabari woman what she thought about when she created it—and get her response. 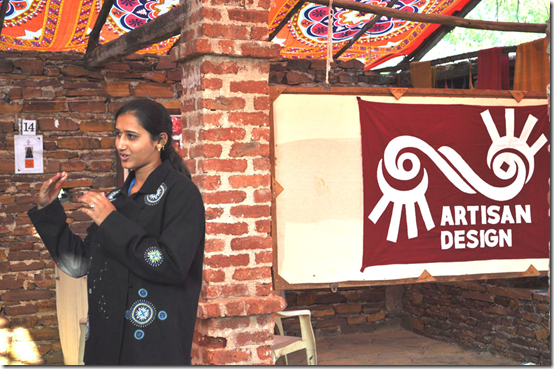 In the way that Kala Raksha Vidhyalaya offers design education to artisans with no formal education, Equalcraft.com makes social networking possible for artisan designers who may not read and write.